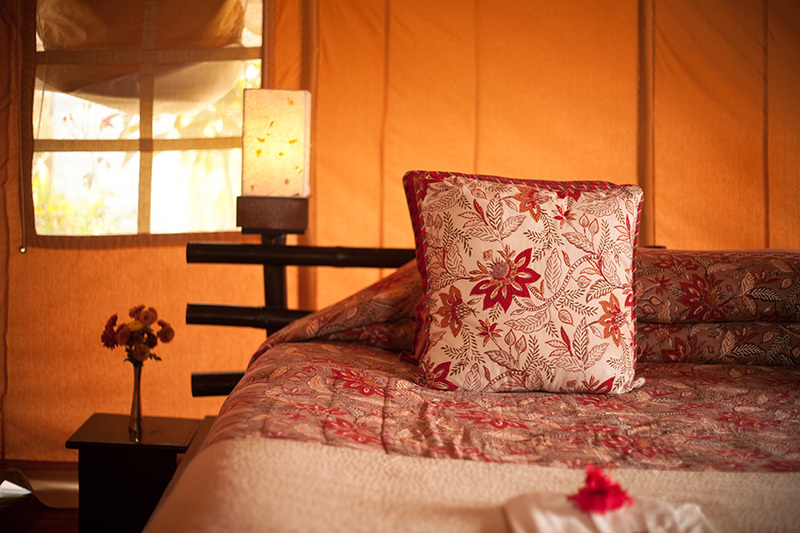 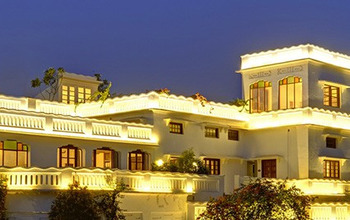 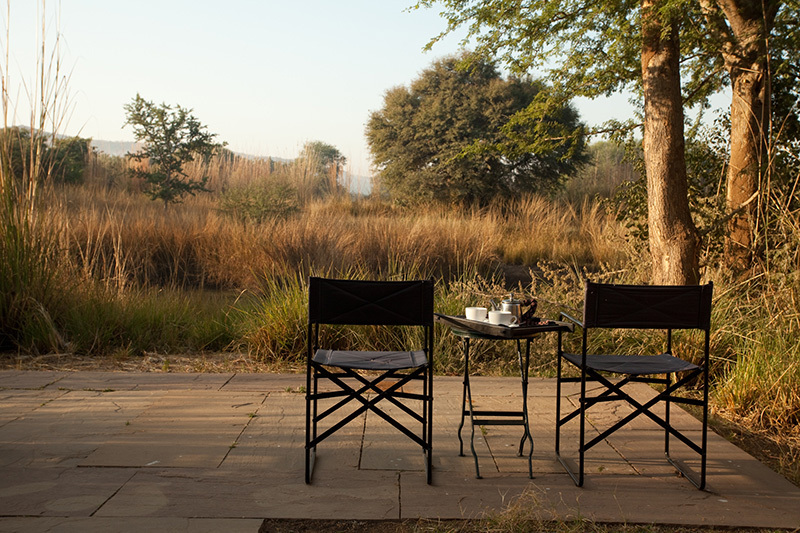 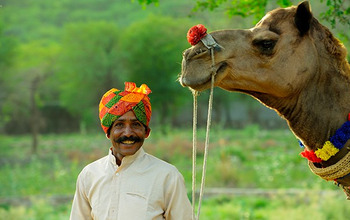 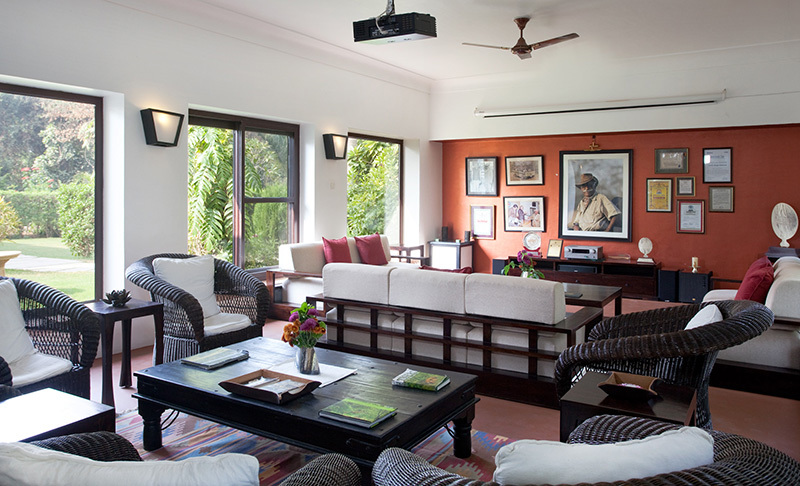 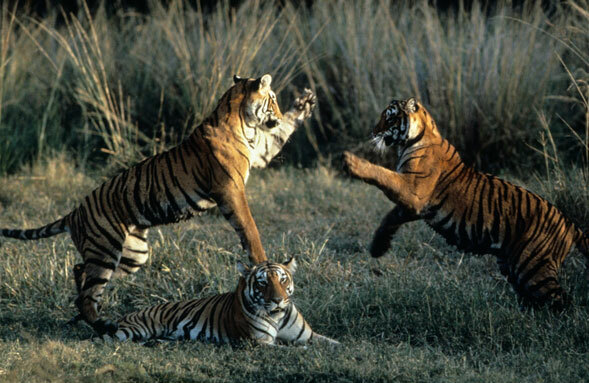 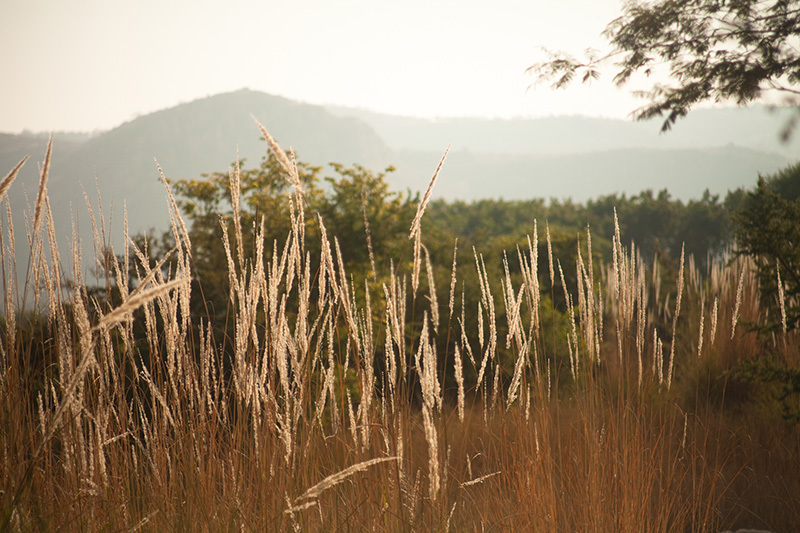 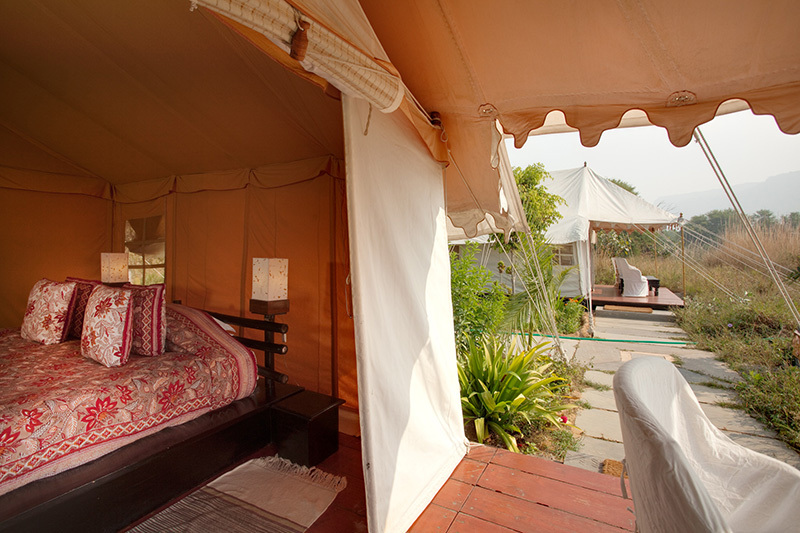 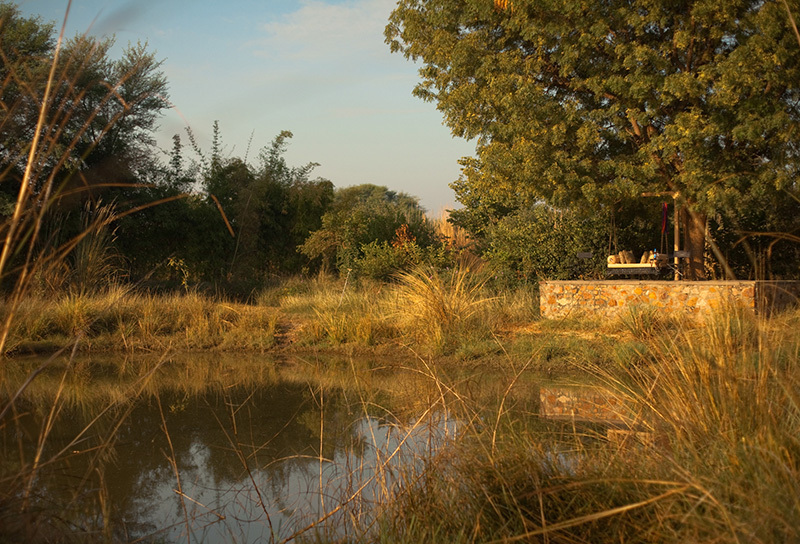 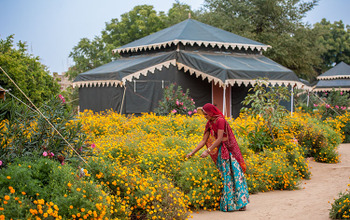 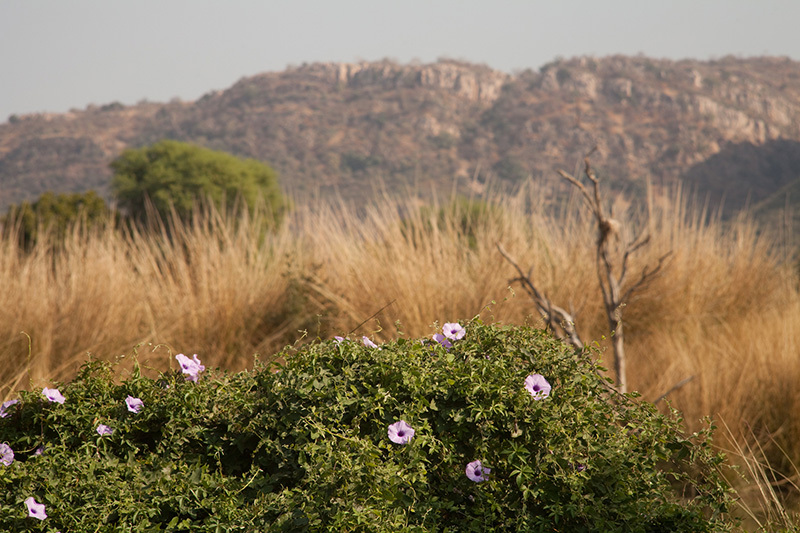 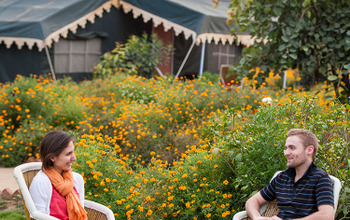 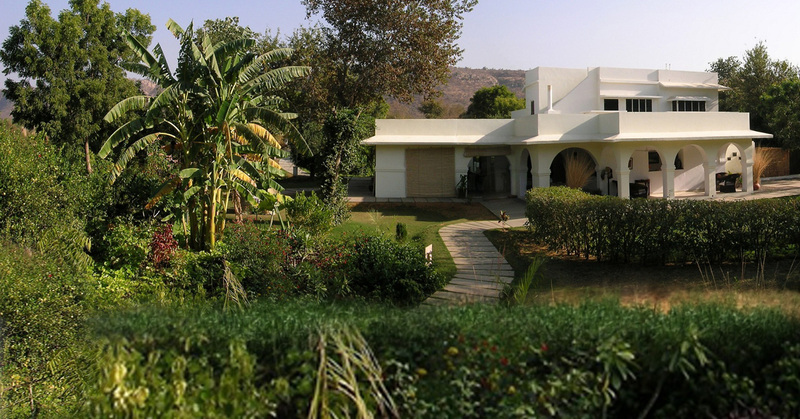 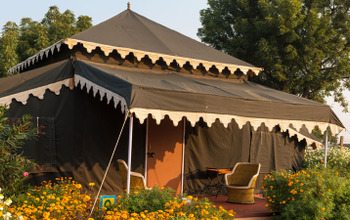 Khem Villas, an exclusive wilderness camp, covers 25 acres of land at the edge of the famous Ranthambore National Park. 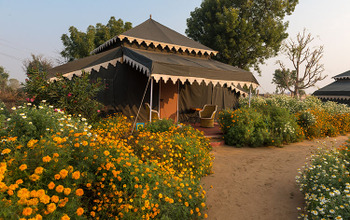 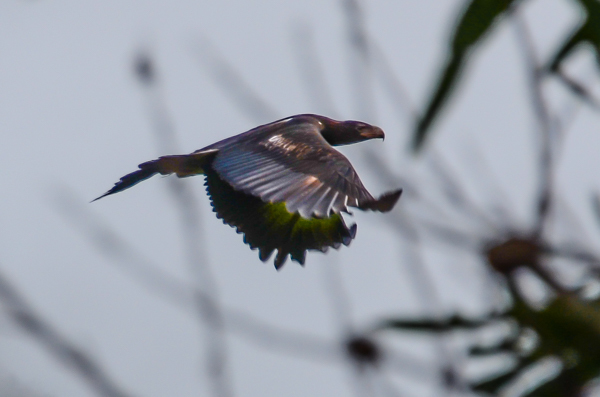 This jungle camp, set amidst expansive open grasslands, dense forests and enchanting little lakes, presents its guests with an unmatched experience of wilderness living. 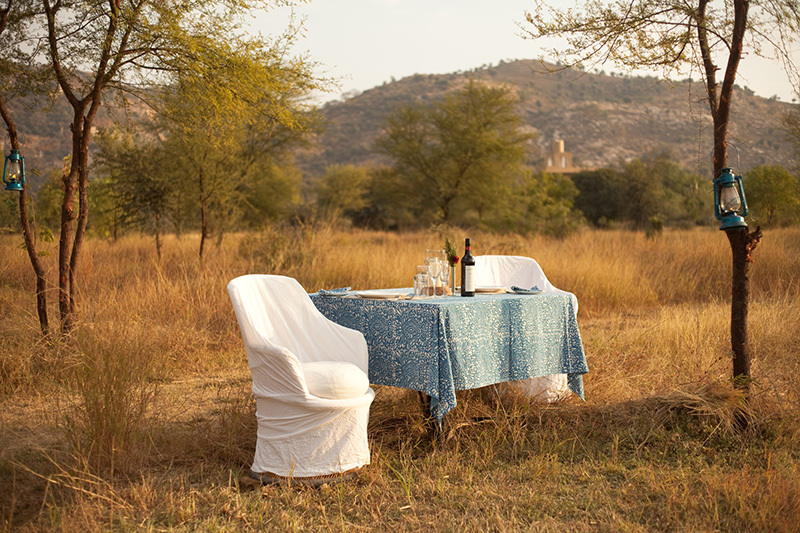 Guests can choose between accommodation options of cottages, tents, and rooms, all of which have a simple yet cosy design using locally sourced materials. 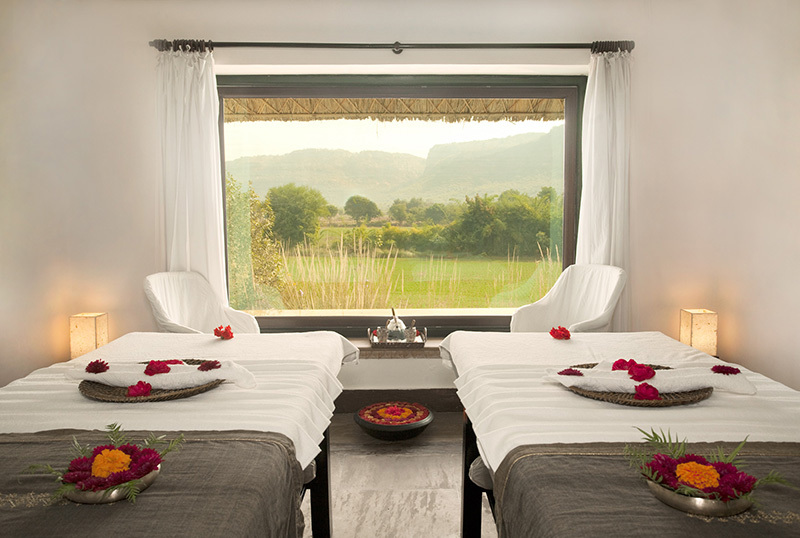 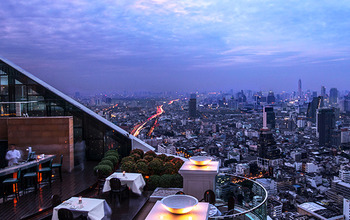 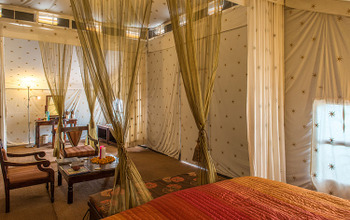 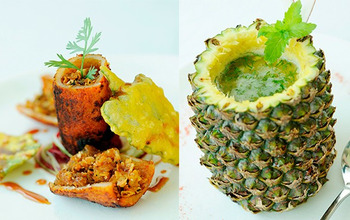 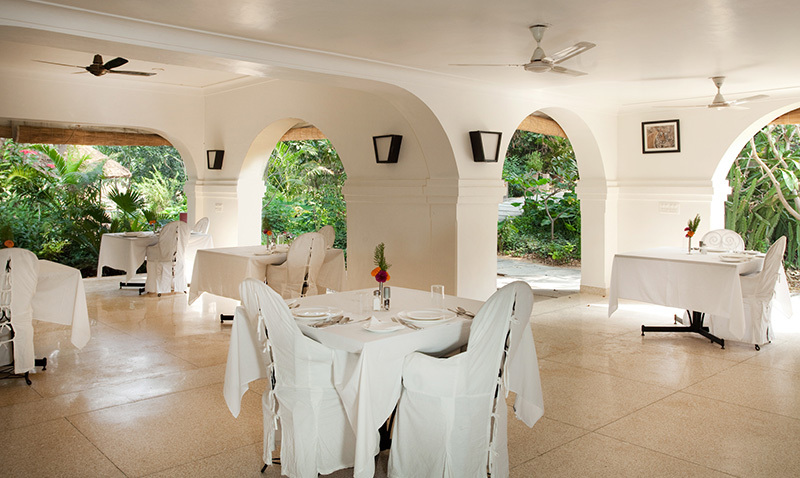 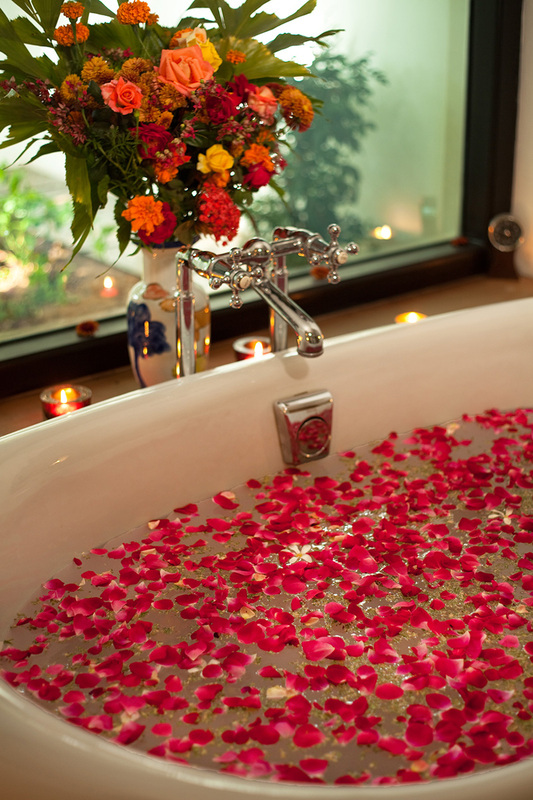 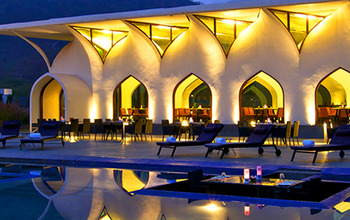 It also has a spa where skilled masseuse will help you relieve your stress.